John Williams was born on 18 February 1821 in Liverpool, England, the son of John W Williams. In 1848 at St James Church of England in Sydney, he married Mary Elizabeth Green (1830-1903). They had at least three sons and two daughters. He died on 20 October 1891 at Sydney and was buried in the family vault in the old Church of England section of Rookwood Cemetery. John Williams arrived with his family at an early age and was educated in Sydney. He was articled to George Robert Nichols, later MLC, and was admitted to practice as a solicitor in the Supreme Court on 16 May 1842. In February 1844 he was in practice inMacquarie Streetand was gazetted to practice in the Court of Requests. He was for a time in partnership with Richard Driver Junior, who was another of Nichols’ protégés. John Williams was Crown Solicitor of NSW from 1859 to 1891. He was a founding Councillor of the Law Institute of 1862 and first President of the Incorporated Law Institute, holding office from 1884 to 1891. On 1 January 1885 he was appointed to the five member Civil Service Board and was appointed Chairman in 1889. From 1863, he had offices in William Street East. His residence was Kurrahgeir at 66 Bayswater Road, Darlinghurst. One of Williams’ articled clerks was James Martin, who went on to become the Chief Justice and Premier of NSW. John Williams was appointed a member of the NSW Legislative Council on 13 May 1861, one day before the term of the quinquennial appointments ended. He did not take his seat. John Williams was elected Alderman for Bourke Ward, 1 November 1849 to 18 April 1853 and 11 April 1857 to November 1861. 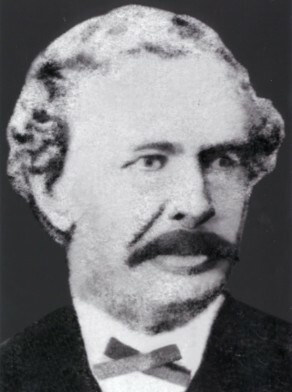 He was Mayor in 1858.